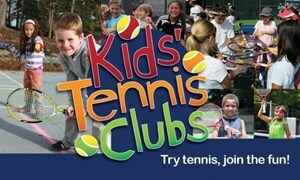 Kids Tennis Club visit with Shelby Rhyne, Executive Director RC Tennis leading fun tennis activities for the Summer RCS Kids Companion Program. This program is only for Kids Companion Child Care participants at New Vision Elementary School. For more information on the Kids Companion Program or for fee schedules, call the program administrator, Wendy Gunn, at 634-3250.